Ezra T. Benson is the grandfather of Ezra Taft Benson, a past prophet of The Church of Jesus Christ of Latter-day Saints (which church is frequently misnamed the Mormon Church) who was also Secretary of Agriculture in the 1950s. Members of The Church of Jesus Christ of Latter-day Saints are often referred to as Mormons. Ezra T. Benson was born in 1811 in Massachusetts. When his grandfather died, his grandmother asked him to take over the farm, which he did until he married. In 1832, he left the farm and bought out his brother-in-law’s hotel. He was successful at this, as he had been as a farmer. He and his brother-in-law also invested in a cotton mill. Through circumstances beyond his control, the mill was not as successful as his other ventures had been, and in time, having lost money on the mill, he bought another hotel and also became the postmaster. Ezra was restless and wanted to move west. After a number of moves, he found himself in Illinois, where he and another man laid out a new town they named Pike. He still felt restless and somehow knew these places were not meant to be his settling place. Next, he felt impressed to move to Quincy, Illinois, and there he met some Mormons. He was interested in their history of persecution. He listened to some of their sermons and talked to Mormons he met. He boarded with a Mormon family. In every case, he found them to be good people. In 1840, he attended a debate held between the Mormons and an anti-Mormon speaker. Joseph Smith attended the debate and the Mormons came out victorious. Now convinced they were Christians who believed in the Bible, Ezra and his wife began attending Latter-day Saint church meetings, still largely just curious. His wife gained a testimony first, and the possibility that he might follow her lead worried his friends, who began pressuring him to join another religion quickly. However, a visit to the town by Orson Hyde and John Page convinced him the “Mormon Church” was true and he and his wife were soon baptized. Benson moved to Nauvoo in 1841, where the Mormons were gathered, and began a lifetime of church leadership and service. He served as a counselor in the stake presidency prior to his move. (A stake is similar to a Catholic diocese and a counselor assists the president of the stake in leading it.) After moving to Nauvoo, he served two missions for the Church, ending the second when he learned of Joseph Smith’s murder. During another mission to Boston, where he led the Mormons there, Ezra was advised to bring as many converts as possible to Nauvoo, which he did. He then helped to build and guard the Nauvoo Temple. When the Mormons began to leave Nauvoo, Ezra and his family left with the first group. 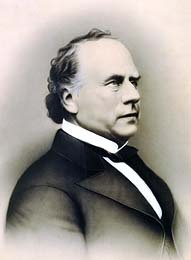 At Mount Pisgah, he learned that John C. Page, who had been instrumental in his conversion, had been excommunicated and that he, Benson, was to replace him as an apostle. He then moved to Council Bluffs to receive that ordination, and followed up by serving one additional mission before heading toward Utah with the pioneers. Ezra traveled to Utah with Brigham Young, but made several trips back and forth to check on other pioneers and to offer assistance as needed. He traveled east on missions, and on one, became so seriously ill those with him thought he would die. His life was saved by prayer from other members and by healing blessings from the Mormon priesthood. In 1856, he was given the opportunity to travel to Europe, where he led the British mission for a time. He also served in the Sandwich Islands in 1864, where he and his traveling companions were saved from drowning after their boat capsized. After this time, his remaining missionary work was done in Utah. He died while caring for a horse in 1869. Every Person in the Doctrine and Covenants, Lynn F. Price, published by Cedar Fort, 2007.